Daylight Saving Time ends on Sunday, November 4th, 2018 at 2:00am. For humans, the extra hour when Daylight Saving Time comes to an end is a great way to catch up on sleep. But for dogs, the effects can be very different. Animals don’t set their routines by the clock that we use as humans to keep on schedule. 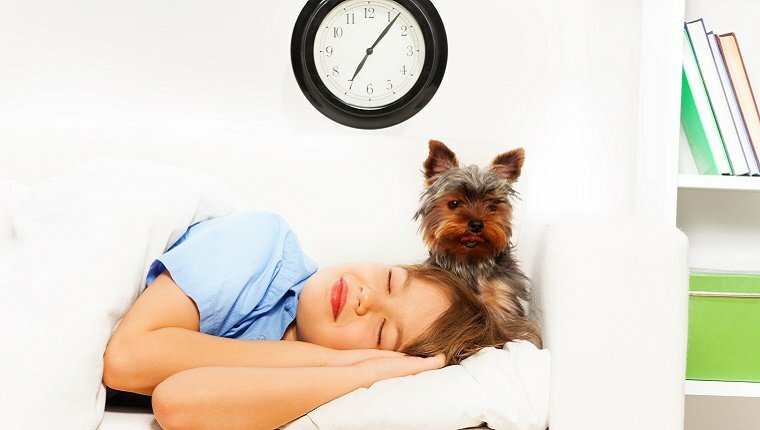 They have their own circadian rhythm–a biological clock that helps them know when to eat, sleep, go potty, and do everything else in their day. So when humans change the clock for the end of Daylight Saving Time, it can affect dogs more strongly. Many dogs need to go outside for a potty break first thing in the morning. When you sleep in for an extra hour, your pup might be confused and sit next to your bed waiting for you to put on your slippers and grab the leash. If you ignore their pleas, they might not be able to hold it in and will have to find a houseplant or rug to do their morning business. Most pooches stick to regular potty times throughout the day, so it will take some time before they can adjust to your new schedule. If your dog is used to being fed at a certain time, they might be a bit upset when breakfast or dinner is coming an hour late. Don’t be surprised if your pup sits by his empty bowl, looking up at you with their best “feed me” puppy dog eyes. 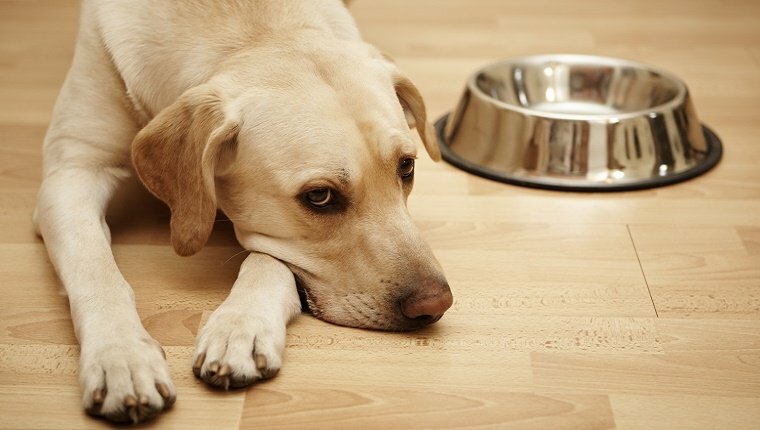 When food doesn’t come on time, your pup might act out by begging, chewing things they shouldn’t chew, or raiding the garbage cans. When you go to work, your dog misses you. You’re their family, their pack. They’ll probably be happy to get an extra hour with you in the morning, but they expect you to come home when the sun is at a certain point in the sky. When you return an hour late, especially when the sun goes down, they can suffer added anxiety. This nervousness can lead to all sorts of unwanted behavior, including having accidents or destroying your belongings. You can help your dog prepare for the end of Daylight Saving Time in a way that will reduce stress or unwanted behavior. In the weeks leading up to the end of Daylight Saving Time, adjust your schedule by a few minutes at a time. Hold off on morning walks for a couple minutes. Don’t force your pup to hold it for long, just enough to get used to the new time. Feed your dog meals a bit later in weeks leading up to the time change so they can acclimate gradually. Run a short, few-minutes errand or two before you get home from work so your pup can adjust to you arriving when the sun is down. Most of all, pay extra attention to your dog’s needs during this transition. It is important to offer them extra comfort if they show signs of anxiety. 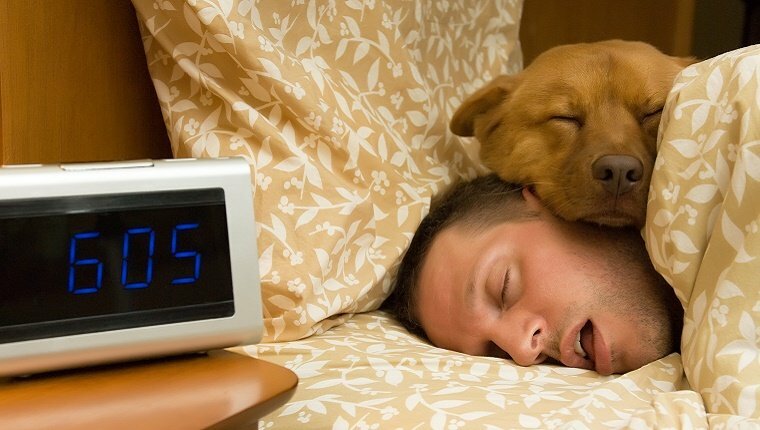 As Daylight Saving Time ends, make sure you ease the effects of your new schedule on your dog. 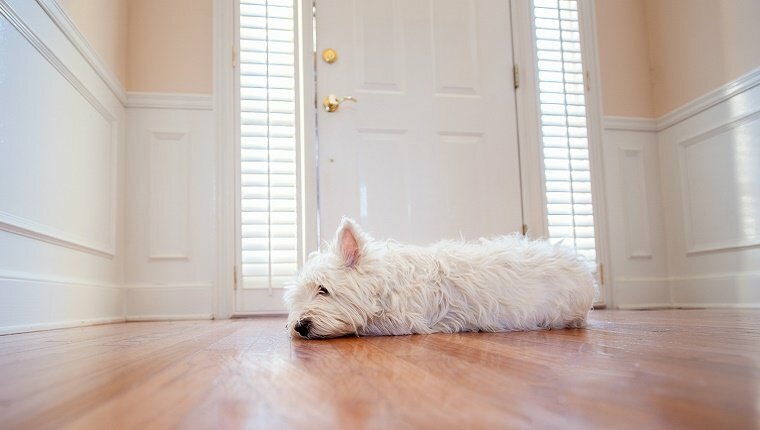 Enjoy the extra hour of sleep, but take steps to reduce your pup’s anxiety. This way you can make the Daylight Saving Time switch a positive experience, rather than a stressful one. And don’t forget to set your clocks back!